Bolívar was a liberal, a man of the Enlightenment, admirer of Hobbes and Locke, Montesquieu and Rousseau. But Bolívar considered European philosophers naïve about political freedom. They were ignorant about colonies, not knowing what it meant to be “even lower than servitude . . . lost, or worse, absent from the universe”. Bolívar famously commented that Latin Americans had been sent misery in the name of liberty. José Martí warned “slaves of Liberty” about the same naïve conception that bothered Bolívar. Leader of Cuba’s last independence war against Spain, Martí predicted political freedoms would not endure without a deeper kind of freedom, rooted in self-knowledge. He went so far as to proclaim, in his influential “Our America”, that the biggest hurdle was not, after all, US aggression; rather, it was that Latin America “show herself as she is … rapidly overcoming the crushing weight of her past”. He raised a question that would not occur to European philosophers: If one is lost or absent from the universe, how is one known? How does one know others? If one rules the world, one doesn’t ask how the world’s peoples are known. One assumes they are known or one doesn’t care, or need to. Martí, as revolutionary, articulated for his region an ancient philosophical imperative: Know thyself. Unlike Europeans, enthralled by what Che Guevara called “the myth of the self-made man”, Bolívar, Martí and Guevara knew the dehumanizing “logic” of imperialism.They wanted human liberation and they did not take the “human” part of that concept for granted. Knowing dehumanization, one wonders how the invisible and the voiceless, and their real needs, become identifiable, including to themselves. This motivated Bolívar in his drive to transform institutions, and in his insistence on strong central government to do so. It motivated Martí, who abandoned liberalism in his youth, and whose independence program, as a result, was a “revolution in thinking” . Statue of José Martí in Havana. Even before Martí, radical Cuban liberation activists condemned a popular presupposition of European philosophy: We act on “our own” when we follow our dreams just because they are ours. Some call it “the bourgeois myth of self-origination”, the idea that we ourselves cause our desires. In contrast, Guevara referred to a cage: One attempts to escape alienation by doing one’s own thing but the remedy “bears the germs of the same sickness”, not permitting “escape from the invisible cage”. He noted the prevalent idea that “there could be no theme better, more stimulating or conducive to depth and grandeur than the study of oneself”. That idea remains prevalent. It undermines knowledge and understanding. Martí noticed that someone who looks inside themselves for the grounds of personal freedom risks delusion. Such a person, believing the “myth of the self-made man”, is like “an oyster in its shell, seeing only the prison that traps him and believing, in the darkness, that it is the world”. Martí and Máximo Gomez knew the stakes. Thus, the Montecristi Manifesto (1895) of the Cuban Revolutionary Party “declares [the Party’s] faith [that it can know] . . . the reality of the ideas that produce or extinguish deeds and the reality of the deeds that are born from ideas”. Not often do revolutionary leaders, heading into war, express concern for the foundations of knowledge. For Martí, though, the struggle for independence was not “between civilization or barbarity” (i.e. “developed” or ‘developing”). Rather, it targeted the “false erudition” persuading Latin Americans they know what these are. The question occurred to Eugène Ionesco, concerned about fascism. His 1959 play Rhinoceros is about a small town where people turn into rhinoceroses. At first, everyone is horrified by the rhinoceroses but as more people become rhinos, the change is seductive. Even the town’s logician becomes a rhinoceros, wanting to “move with the times”. Finally, one man, Berenger, remains. Now he is the monster. orthodoxy of beliefs: “Unpopular ideas can be silenced, and inconvenient facts kept dark,” not by official bans but because of “an orthodoxy, a body of ideas which it is assumed that all right- thinking people will accept without question”. This includes ways of identifying oneself and one’s aspirations. Italian philosopher Antonio Gramsci commented that everyone is a philosopher, meaning that everyone, whatever their society or social role, deliberating daily about their lives, employs ideas about what it means to be human, usually without noticing. At each such moment, we bolster an existing conception or, by thinking differently, work toward a better one. In the end, Berenger reminds himself that “[a] man’s not ugly to look at, not ugly at all!”’. However, a few sentences later he says “I should have gone with them while there was still time. . . . Now I am a monster, just a monster”. Berenger’s conviction about his humanity waivers. He might, after all, go with the rhinos without regret, suggesting that rhinoceritis is not as serious a problem as identifying it as a problem, once everyone is a monster. Many acknowledge that after three hundred years, capitalism has shown itself to be incapable of promoting human flourishing. But few refer to this problem as one about what human flourishing means or, better, what “human” means. Speaking in Venezuela in 1999, Fidel Castro suggested that people are confused by “nicely sweetened but rotten ideas … that man is an animal moved only by a carrot or when beaten by a whip”. They are confused about what it means to be human. Even fewer see the problem as being about how to know what it means to be human. One reason is the popular belief that there is nothing to know. Canadian philosopher Charles Taylor says we live in an “age of authenticity” in which what matters is personal choice, the more the better. One does not have to look far, he suggests, to see that human meaningfulness is whatever one believes it to be. In the Ebola crisis of 2014, The Wall Street Journal reported: “Few have heeded the call, but one country has responded in strength: Cuba.” Cuba sent more than 450 doctors and nurses, chosen from over 15,000 volunteers, by far the largest medical mission of any country. It is worth asking why. Cubans, more than 15,000 of them, saw the fate of West Africans as their own, and volunteered immediately. The “nicely sweetened but rotten ideas” that human beings are best motivated by material incentives don’t explain how this is possible. But it can be explained – by ideas predating the Cuban revolution, and even Marx. They are philosophical ideas expressing the relationship between human beings and nature, implying that one person’s life (causally) affects others’. It is a view common to various (non-European) cultures, including indigenous peoples. It is scientific, based in cause and effect, acknowledging, as was clear to Martí, that “through the wonderful compensation of Nature whoever gives of himself, grows”. On such a view we need to engage with and change the world in order to know it, and its peoples, including ourselves. Cuba has quietly challenged European ideas for 200 years, especially the cherished liberal idea that we live best when we live “from the inside”, satisfying desires, following personal dreams. One reason the idea fails is that knowing one’s desires is not automatic. If rhinoceritis threatens, and it does, Martí’s “revolution in thinking” is worth noting, in the North. We won’t realize democracy if, aiming for freedom, we are unwittingly seeing an oyster’s shell and believing in the darkness that it is the world. Differences between the US and Cuba are not, most interestingly, about the Cold War. Kerry’s goal, probably, involves counting the political parties running in Cuban elections. The idea of a single party was favoured by Martí, who was not a Leninist or even, strictly speaking, a Marxist. He knew the need to build more appropriate institutions, resources for more adequate “forms and ideas”, and he knew appropriate direction was required to do that. We might learn from such traditions. Or, at least, we could learn from the questions that explain them. 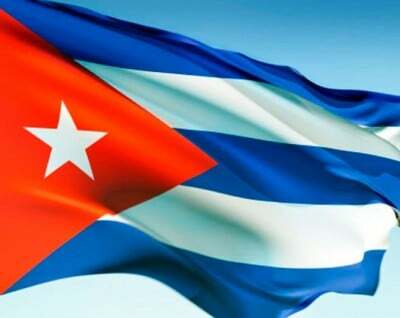 The issue of Cuba’s democracy, and ours, would be more interesting. Susan Babbitt is associate professor of philosophy at Queen’s University, Kingston, Canada and author of José Martí, Ernesto “Che” Guevara and Global Development Ethics: The Battle for Ideas (Palgrave MacMillan 2014). Bolívar, Simón. The Jamaica letter. In David Bushnell (Ed. ), Simón Bolívar, el libertador. (Frederick H. Fornoff, Trans., pp. 12– 30). New York, NY: Oxford University Press, 2003. (Originally published 1815) pp. 19– 20. Guevara, Che. Man and socialism in Cuba. In David Deutschman (Ed. ), The Che Guevara reader. New York, NY: Ocean Press, 1997, p. 207.